It's amazing that this trailer has lasted as long as it has. It is also amazing that this thing is basically built out of 2x2's, 1x2's, thin wall paneling, and little staples. Believe it or not, demolishing wasn't as easy as it should have been. The table seating area is gone as well as the cabinet that was by the door. The divider wall between the main area and the bathroom was also torn out. Because the floor was so rotted, we HAD to rip almost everything out. 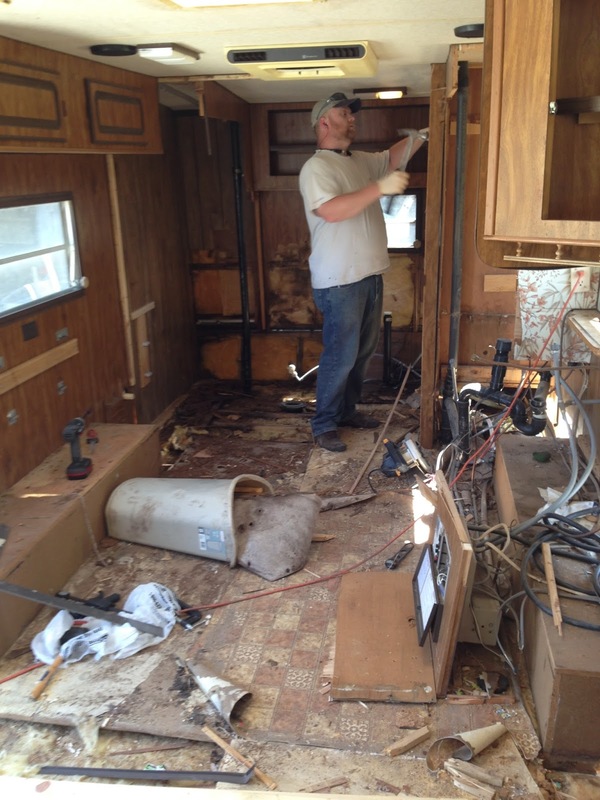 We thought we could leave the cabinets in place, but in order to do the job right, we had to demolish them. We saved the doors to reuse on the new cabinets. 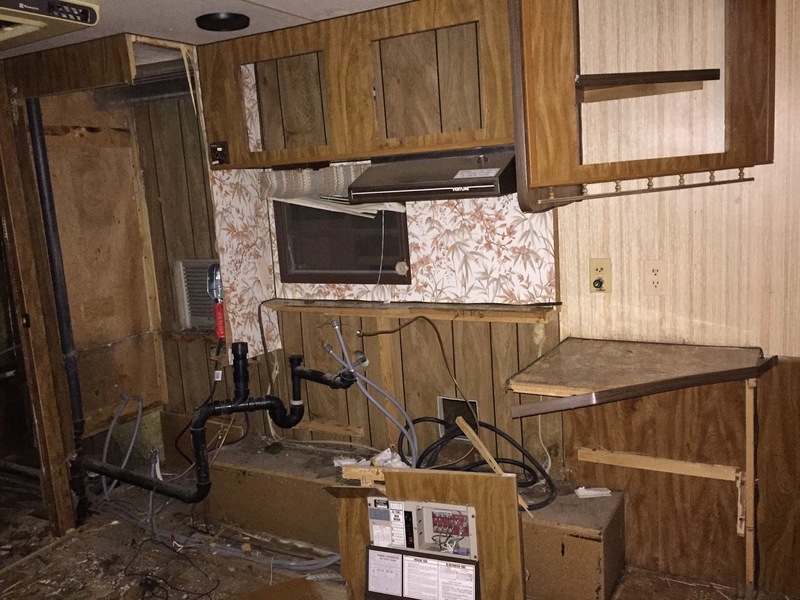 EVERYTHING in the bathroom was rotted. We have to rebuild every inch of this room. Because the rot is so bad, the walls are sinking. The walls are built on top of the sub-floor. The material they used has now basically turned into mulch. 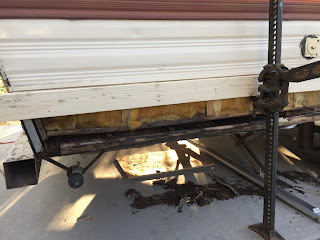 Matt had to jack the walls up, so we could add new structure and replace the sub-floor. Tune in next time to see how we fixed the floor! See the BEFORE photos HERE.